Karen Jackson knows the many challenges faced by parents of children with disabilities. A wife and working mom of three, including a daughter Samantha who has autism, she has lived and learned more than could be captured in a college course about advocating for a child with special needs. But, far from keeping her lessons to herself, for more than 11 years, Jackson has been dedicated to helping other families raising their children to thrive as much as they can in school, society at large and, most importantly, in the Church. Jackson, a Catholic, was already facilitating a parent support group at her church in Virginia, when, on Jan. 1, 2008, she prayed a specific desire of her heart. “I prayed that if there was something more I could do to help other families affected by disability to find a church home, I wanted to do that,” said Jackson. The process of starting the organization and continuing with her other responsibilities was daunting. And there was a sometimes-steep learning curve. “Early on, I contacted a priest who had a disability about being involved in FIN,” said Jackson. “I wanted to hold a prayer service for those who needed healing from the hurt they had experienced from being excluded from faith communities. I did not express myself well enough, however. Jackson’s home parish supported her efforts, hosting Faith Inclusion Network’s first meeting in May 2008 and a book launch in 2015 for Jackson’s, “Loving Samantha.” But the network rapidly grew into its own office space. In May 2009, Faith Inclusion Network held its first conference and added services, including networks for families to connect with welcoming congregations, local workshops and “community conversations” on faith and disability topics. An annual clergy breakfast brings local pastors and rabbis together for sharing a meal and more. This year’s retreat and conference (March 7-8) will bring together people from across the U.S. And Jackson and her team have more plans in the works, including a national faith and disability leaders’ network and ways to help others around the country to start a chapter. For all the network’s growth, Jackson knows its heart remains family and the daughter who inspires her. 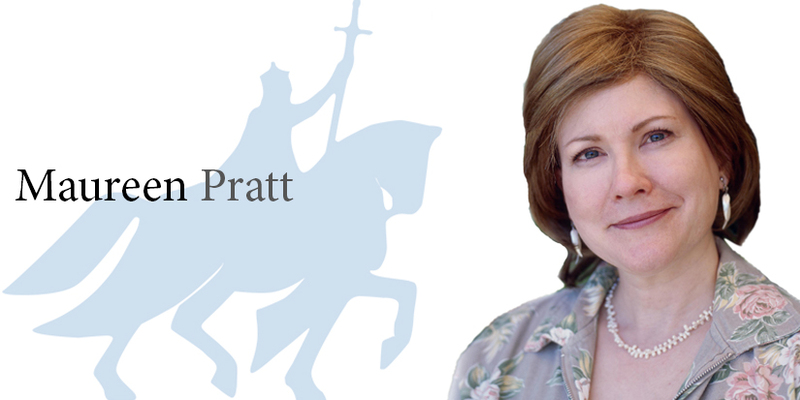 Pratt is an award-winning author, speaker and patient advocate. Her website is www.maureenpratt.com.